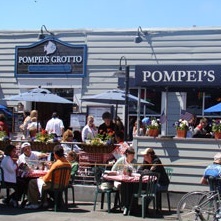 Pompei's Grotto is a casual, family-friendly dining option on Fisherman's Wharf in San Francisco. 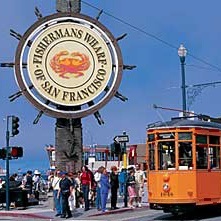 The restaurant specializes in fresh local seafood and Italian cuisine, including vegetarian and special dietary options. We feature homemade sauces and soups cooked from scratch using high quality, local ingredients (many from recipes handed down over generations). We are open for lunch and dinner 363 days a year and serve a full menu all day long. We have a wonderful HAPPY HOUR from Monday through Friday 3:00pm to 6:00pm. 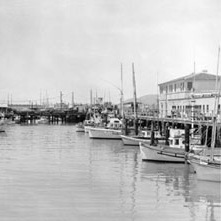 Pompei's Grotto opened on February 1, 1946. Proprietors Frank and Marian Pompei started with a small location which included just one counter, six stools, and five tables. 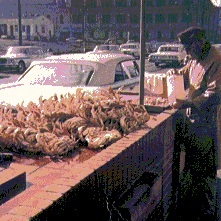 They served only seafood cocktails, cracked crab, spaghetti, and sandwiches. From that humble beginning the restaurant expanded three times. Hours of Operation: Open daily at 11:00 a.m.